I want a garden shed. Not any old garden shed, mind you, but a beautiful outdoor space that I can decorate to give my back yard more charm and character. I've been kind of obsessed with idea ever since seeing the post of Lauren's shed at Pure Style Home. Isn't this a beautiful outdoor space! I have done a little searching on the internet to find some other totally cool decorated sheds. I found these designer decorated sheds on the Berkshire Botanical Gardens web site. Here's the gallery file. 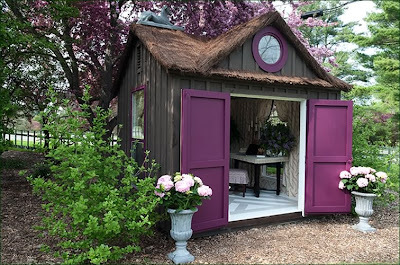 I found this cute garden shed at A Storybook Life blog. 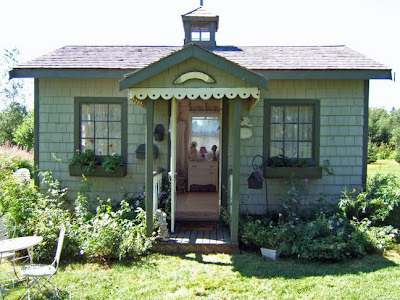 I even found a whole blog dedicated to garden sheds called Garden Shed Hall of Fame. Check out this shed from the blog. 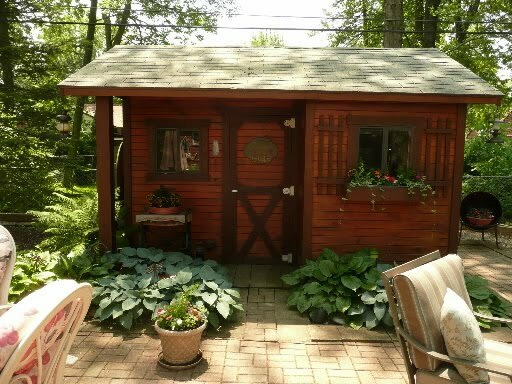 Here's a link to a picture gallery of a few Cleveland area sheds. I think this rustic shed is adorable. I have found out that there are many out there in internet land who share my obsession. Here's a post at A Whimsical Bohemian. Here's a cute yellow shed on her blog post. Any other sheds that I must see? Comment and let me know about them. Heck, just comment and let me know if you share my love of garden sheds! I've been seeing a lot of them recently from the Where Bloggers Create party at The Desert Cottage blog. Many people use them as studios for creating whatever they are into. 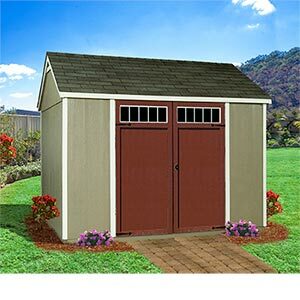 I have a shed that is just a shed, but I think it would be great to have one not too far from the house that you could go into and do your own thing. I'd use mine for crafting and my interior decorating business! I wouldn't want it to be a garden shed--a playhouse, a playhouse for my little girlies! Thanks for sharing, I enjoy your blog! 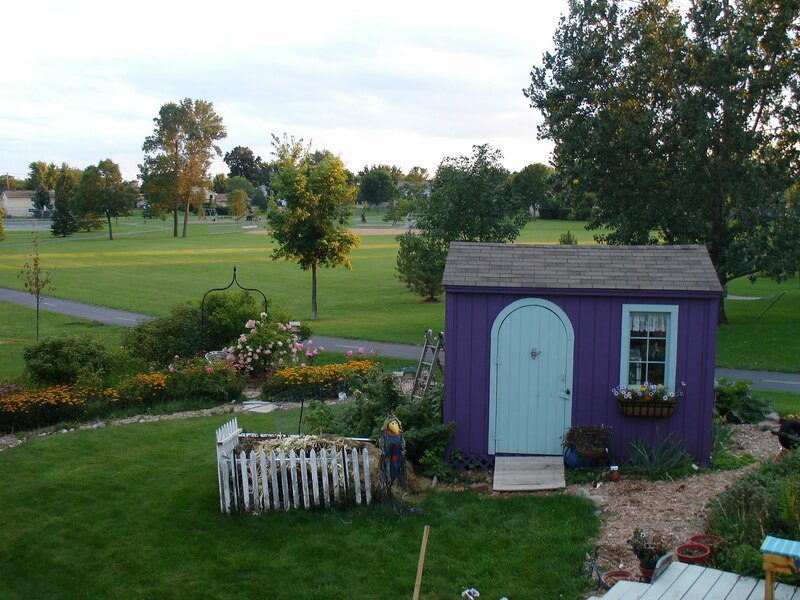 I'm doing a post on garden sheds at www.cabinfever228.blogspot.com called Mel's Cabin and I used one of your photos. Thanks! I'm linking back to your post from mine.